Starting tomorrow in London, ON, hockey researchers and academics will gather at Western University for the fourth Putting it on Ice Conference. This conference, which was last held in Halifax, NS in 2012, is exclusively focused on scholarship related to hockey, whether that be sociological, political, historical, media, literary or economic research. Not surprisingly, there are lots and lots of fascinating papers being presented this year that align with the interests and focus of this blog – and I am happy to say that I will be in attendance to hear them all. While I don’t have space to summarize every paper that will be on the program, after the jump I have copied and pasted the titles and abstracts of just some of the papers I am particularly interested in – but I am sure that many other papers will also catch my interest and stimulate my intellect! You can check out the full program here and the abstracts here. Full disclosure: I am co-presenting a paper, with Tobias Stark from Linnaeus University in Sweden, which for the sake of interest I am including in the selection of abstracts below. NB: Select abstracts are presented alphabetically by author’s last name. Please note that all abstracts are the author’s own words and are their intellectual property. I am quoting all text from the Putting it on Ice IV collection of abstracts. In the last two decades we have witnessed extraordinary changes and growth in the girls’ and women’s hockey ‘arena’ in Canada and around the world. This paper, drawing on a case study from a larger study of the Warner Hockey School in Southern Alberta, an elite girls hockey program, examines the growth of high performance girls’ hockey schools across Canada. In 2003 when Warner opened its doors to the first recruits, it was only the second girls hockey school in the country; now there are more than a dozen from coast to coast. Many of the teams from these schools compete in elite leagues such as the Junior Women’s Hockey League (JWHL) playing teams from major centres across Canada and the United States. The promotional materials from these schools boast that many of their graduates are placed on post-secondary teams in Canada and United States, many with full scholarships and many of them have also played for provincial and national teams. Increasingly, parents who can afford the often-high costs of hockey academy tuition are racing to enroll their children in elite hockey programs. Drawing on organizational documents, promotional materials, news reports, and semi-structured interviews, this paper examines the rise of elitism and high performance academies within Canadian hockey and the role these schools play in the development of girls’ and women’s hockey in Canada. In this paper, I examine representations of National Hockey League (NHL) superstar Alexander Ovechkin in the Canadian press. Ovechkin, whose superstar status is link ed to his exceptional hockey ability, is equally recognized for his unique sense of style, marked by flamboyance off the ice and exuberance on it. In order to assess how Ovechkin is understood by the Canadian press, I examine reports from two Canadian national newspapers, the Globe and Mail and the National Post, from 2009 to 2012. In Canada, Ovechkin is often presented as a challenge to Cold War understandings of Russian hockey player s – or an understanding of these players as lacking passion and heart, and unwilling to play the body. However, he is also presented as a dirty hockey player who is wild and out of control. As a result of these representations, I argue that the Canadian media’s depiction of Ovechkin is both a re-articulation of, and break with, Cold War understandings of Russian/Soviet athletes. This understanding of Ovechkin works to locate Canadian national identity in contrast to this depiction. Specifically, by characterizing Russian hockey players as wild, unpredictable and out of control, Canadian players are produced as polite, disciplined and well mannered. These opposing representations help to locate Canadian national hockey identity within a frame of appropriate masculine expression. On November 5, 2013, Stephen Harper made history by becoming the first Canadian Prime Minister to publish a book about hockey. Harper’s A Great Game: The Forgotten Leafs & The Rise of Professional Hockey was met with a variety of responses. Some reviewers admired Harper’s historical acumen, while others just found him boring. 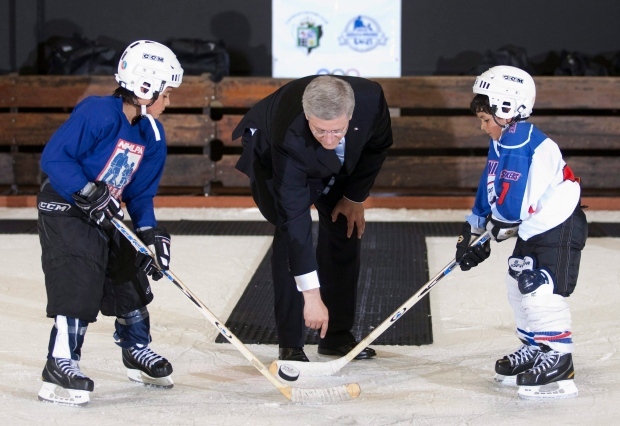 Some labored to establish Harper’s credentials as a fan of the game and card-carrying member of the Society for International Hockey Research, while others suggested that the Prime Minister hadn’t even written the book himself (Roy MacGregor’s name was thrown around as ghostwriter). Some saw Harper’s book as a valuable contribution to Canadian hockey history, and others saw it as a crass political move designed to make Harper appear less aloof. Pretty much everyone made note of Harper’s decision to publish under the name “Stephen J. Harper.” What does it mean for a sitting Canadian Prime Minister to publish a book about hockey? This paper will address this question, analyzing the reception of Harper’s book as a unique case study in the cultural capital and political economy of hockey in Canada. This proposed paper explores the political motivations, specifically the fostering of Canadian patriotism, behind the creation of the Dominion Hockey Challenge Cup (Stanley Cup) in 1892. The central question of this study asks; what, if any, political motivations lay behind the creation of the Stanley Cup and its future administration as a Challenge Cup specifically to foster Canadian national identity. I am interested in the ‘Stanley’ Cup as a vehicle upon which the highest levels of the Federal Government conceived of Canadian national identity in a top down approach. Particularly, I am looking at the political beliefs of Lord Stanley, Canada’s Governor General, and Philip Ross, the Cup’s chief trustee. The study rests upon primary source information gleaned from Lord Stanley’s archives, those of his family and closest aide, the personal archives and newspaper editorials of Philip Ross, and the books, pamphlets, and speeches of Canadian intellectuals who debated Canadian national identity. Secondary works regarding Canadian national identity during this period (Berger; Buckner; and Bell) alongside the biography of Lord Stanley (Shea and Wilson) help frame the study. The study will add to the arena of hockey knowledge by situating the donation of the Stanley Cup into the intellectual debates regarding Canadian national identity. Furthermore, the research hopes to yield important insights into the transformation of Anglo political thought during the 19th century, specifically the transition from classic liberalism to a new collective liberalism or progressivism. Ultimately, this turn in political philosophy legitimated nation building through sport by the state. This presentation outlines a doctoral dissertation project that will use surveys, interviews, and information workshops to examine conceptions of gender and sexuality among male Major Midget ice hockey players in Canada. Specifically, it will investigate their views of homophobia, a term understood to describe various negative attitudes towards non‐heterosexuality. Partly in conjunction with the first professional male athlete publicly announcing that he is gay in 2013, mainstream media has become preoccupied with the notion of homophobia. In academia, there is a resounding perception that the realm of sport lags behind the remainder of society in its acceptance and inclusion of homosexual individuals. Scholars characterize ice hockey, in particular, as a sport that socializes boys and men to be hyper-masculine and homophobic. This demarcates a particular nexus for younger hockey players as they are part of a wider generation of youth that is understood to be largely accepting of homosexuality, yet they participate in a sport in which homosexuals have not traditionally been welcome. It is thus crucial to record and analyze their perceptions at this level because many of them will lead the upcoming generation of elite athletes who will act as public models of social responsibility. This study will contribute pedagogically by adding to rink-side research and by explicating the role of gender and sexuality in sport for scholars, team and league authorities, families, and players themselves. Elements of the presentation include an overview of current literature on homophobia in sport, a brief presentation of the study’s theoretical framework, and a discussion of the study’s key goals, methods, and potential outcomes. At the beginning of 2014, three North American TV channels aired the seven-part TV-series “NHL Revealed: A Season Like No Other,” which followed a number of the league’s top stars on and off the ice in the buildup to both the Sochi Olympics and the NHL’s series of outdoor games during the 2013-2014 season. The TV-series was also made available to a global audience via multiple digital platforms, as the NHL considered it critical to make the series “available to [its] fans around the world wherever and whenever they want to watch it”. This paper discusses ”NHL Revealed” as an expression of the league’s increasing marketing effort internationally. Focusing on the narratives presented in the TV-series, the authors provide a critical reading of the NHL’s representation of the league, its players, and its fans. In doing so, the authors examine key sociopolitical themes related to the culture of hockey, including commercialism, gender, and labour. An examination of how these issues are (or are not) represented in the series offers valuable insight into the NHL’s efforts to position itself as a global brand in the transnational sport marketplace. On November 5, 1975, Toronto Maple Leafs’ defenseman Brian Glennie landed a clean body check on Bryan Hextall of the Detroit Wings during National Hockey League (NHL) play. Moments after the hit, Detroit forward Daniel Maloney punched Glennie from behind, dropping the Maple Leaf to the ice. With Glennie at his will, Maloney lifted and slammed Glennie’s head off the ice surface several times. Following the attack, Glennie was sent to the hospital, while Maloney was charged with assault causing bodily harm. This paper will examine both the social and legal underpinnings of the Maloney-Glennie affair. First of all, I will illustrate that persistent on-ice violence in the NHL and World Hockey Association during the early 1970s sparked increased surveillance of the game by legal officials and widespread condemnation in the press. Secondly, this paper will outline the varied responses to the Maloney-Glennie incident, from Punch Imlach’s whole-hearted support of rough and tumble hockey to Sports Illustrated’s thorough condemnation of Maloney and the NHL. Lastly, I shift my attention to Maloney’s trial, highlighting the significant disconnect between what the jury felt was A) unacceptably violent play in hockey and B) what in fact constituted an assault under Canadian law. Ultimately, the law, by facilitating Maloney’s acquittal, reinforced the prevailing violent masculine norms common in Canadian sport. “Your wonderful book, which introduced us to the mysteries of Canadian hockey, I have read like a schoolboy” (Anatoli Tarasov). “It (The Hockey Handbook) reflects the musings of a three-year old” (Unidentified NHL Coach). In many ways these two quotes aptly summarized the theme of this presentation, the contradictory reputation and implicitly, a scientific vision of hockey that epitomizes Lloyd Percival. In Europe, initially in the Soviet Union, but quickly throughout the ice hockey playing nations, Percival’s observations on ice hockey were adopted as the correct scientific way to develop players and team play. In Canada, the native son Percival was dismissed as an eccentric busy body. In this presentation the two authors will attempt to make some sense of the Percival paradox. This will be a two-nation comparative study (Sweden/Canada) that will utilize a wide selection of source material (newspaper article s, biographical accounts, archival documents, interviews, coaching manuals etc) archival material from the two countries. Dr. Stark is a foremost authority on the Swedish ice hockey system. He will access relevant material from his 2010 doctoral dissertation (Folkhemmet på is: Ishockey, modernisering och nationell identitet i Sverige 1920-1972 – The People’s Home On Ice: Ice Hockey, Modernization and National Identity in Sweden 1920-1972), and interview important hockey personnel familiar with the Percival reputation. Hart Cantelon will access archival materials housed in Library and Archives Canada, relevant Canadian newspaper resources, and the American Detroit News and Detroit Free Press. The Detroit Red Wings were the only NHL team to take seriously, Percival’s musings on hockey development. The 2013 publication of Gary Mossman’s book (Lloyd Percival: Coach and Visionary) will also provide important detail. The theoretical basis of the presentation will apply the concepts of expertise, credentialism, power and globalization to demonstrate that Percival’s influence (or lack of) can be grounded in the power relations of the NHL. Specifically we will attempt to demonstrate that with the globalization of North American professional hockey and the influx of highly skilled European players, coaches and hockey culture, the Court Jester is re-formed as the Guru. In other words, an imagined hockey arena vision becomes an actual hockey arena re-vision.